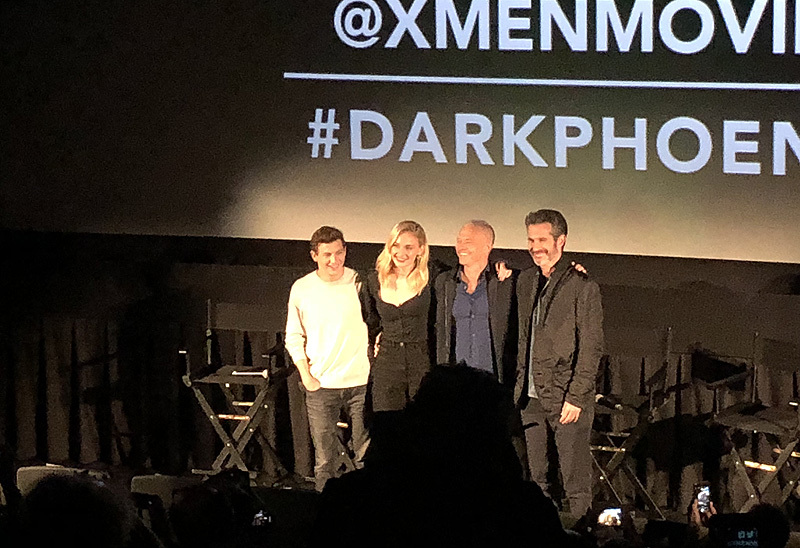 At New York Comic-Con 20th Century Fox invited ComingSoon.net to screen the opening 14-minutes of footage from next summer’s Dark Phoenix, with stars Sophie Turner and Tye Sheridan as well as producer Hutch Parker and screenwriter/director Simon Kinberg on hand to guide us through it. 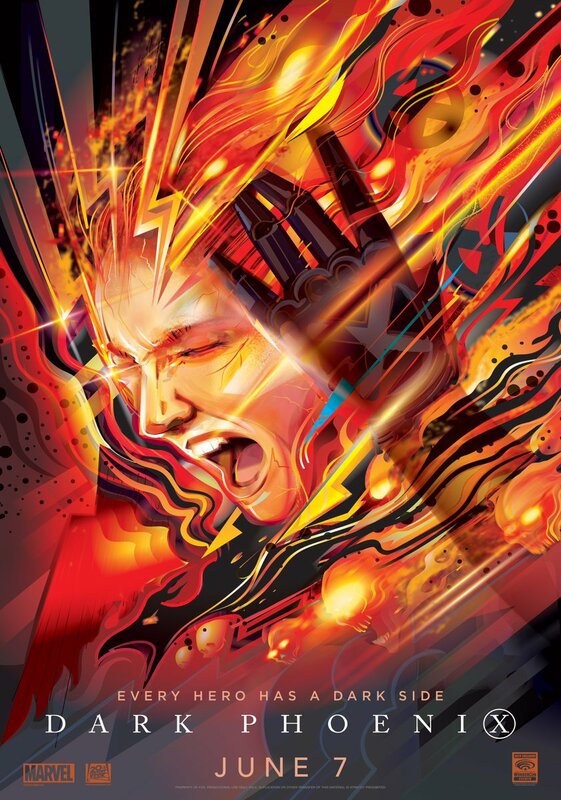 Check out the Dark Phoenix footage description below! The footage opens with what looks like actual real-life footage from the 90’s of the now-retired NASA Space Shuttle Endeavour (1992-2011) taking off from the John F. Kennedy Space Center. Almost immediately the folks at mission control discover the ship is in trouble. We see footage of the President of the United States picking up a special X-Phone on his desk and ringing up Professor Charles Xavier with a mission to rescue the astronauts. The Professor assures Hank McCoy/Beast that the X-Jet can go into space with the new booster rockets they have installed. JEAN: Are you okay with this? MYSTIQUE: I forget sometimes you can read minds. JEAN: I didn’t need to read your mind, it’s written all over your face. You tell me it’s good… it’s good. MYSTIQUE: If anything goes wrong, I’ll turn us around in a heartbeat. JEAN: I know you will. Hans Zimmer’s intense score thrums as we see the X-Mansion’s basketball court open up and the X-Jet emerge and take off. 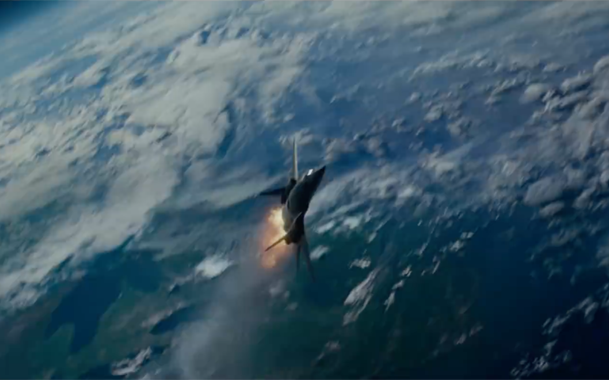 Shots of people around the world watching the X-Men’s rescue mission on TV are shown before we see the jet break through the atmosphere and head into outer space. Meanwhile, Professor X is back home at the mansion connected to Cerebro so he can communicate with NASA mission control, who inform him that a solar flair has shorted out Endeavour, causing them to lose communication and control of the ship. “Don’t worry mission control, help is on the way,” says Charles. Onboard the X-Jet the team looks nervous. Scott gently places a hand on Jean’s shoulder in the seat in front of him, and she reaches back to touch his hand, showing that their relationship has solidified since the last movie. Through the front windows of the jet the team sees Endeavour spinning wildly out of control next to a giant solar flair very close in proximity. There’s clearly not much time to extract the astronauts from the damaged shuttle. Scott goes down to a lower deck of the ship where he positions his visor through an aiming device that allows him to blast the ship with a few carefully targeted eye beams, slowing down its rotation so Nightcrawler can teleport inside with Quicksilver and rescue the astronauts. 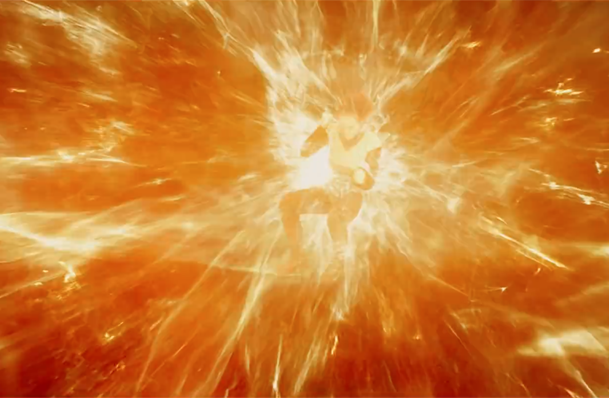 Storm uses her powers to seal the cracks in the ship with ice, allowing her team members to breathe. Once the astronauts are safely onboard the X-Jet, Mystique orders Hank to take everyone home, but one of the astronauts explains their captain isn’t there because he was in the airlock working on the thruster. 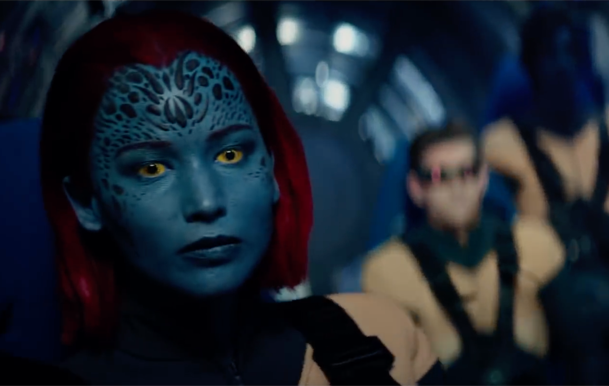 With the heat signature rising, Mystique decides it’s too dangerous, but Charles intervenes and orders them not to leave anyone behind, telling Jean to hold the shuttle together. CHARLES: You know you can do anything you set your mind to. JEAN: I can hold the ship together but not from here. I need to get inside. The X-Jet lands on the tarmac in Florida, with both the astronauts and the X-Men received by a crowd giving them a hero’s welcome. People clearly love the X-Men, and there’s even a shot of a little girl holding a Mystique toy. This shot is repeated in a transition to the X-Mansion, where all the young students clap and cheer their comrades. Mystique/Raven has changed into her blonde/white-skin form for this scene, and the professor gives the whole school the day off to celebrate. Jean appears to be fine, but Charles tells Hank to examine her, just as a precaution. The Professor and Raven go into his office for a private chat that turns tense real quick as Charles’ cheery demeanor darkens as he pours himself a stiff drink. Raven lectures him about how he put the kids in danger to serve his own ego. Charles counters that the X-Men are only one bad incident away from being despised, and he’s only making them do these heroic things so the public will love mutants. He wants to keep mutants safe.